If you’ve ever struggled to come up with content for your blog, you’re not alone. This post will help you fix that problem. You’ll discover how to create an effective editorial calendar. One that makes your job as a content creator easier. My simple definition of an editorial calendar is this – a calendar that tells you what content needs to be created and when. This content can be written articles, podcast episodes, videos, live streams, social media updates, emails for your list, webinars, or whatever other kind of content you make. It wasn’t that long ago. The day before a podcast episode was scheduled to go live, I had no idea what it would be about. I would call a friend and we’d have a back-and-forth discussion about what I’d covered recently and what would be a good idea to cover for tomorrow’s episode. A few stressful hours later and I’d have a rushed episode completed that often ended up being posted later than the scheduled time. This situation is the enemy, and an editorial calendar is the savior. Here are just a few reasons why using an editorial calendar is a good thing. It reduces the stress of last-minute planning. My situation described above should make this very clear. Having a carefully thought-out editorial calendar helps you to know what to create and when. You have time to outline each piece of content and then turn it into a masterpiece. That’s worth the cost of admission right there. It gives you a bird’s eye view of the most important aspects of your online business. In an “Internetty” world, content is king. Content it what gets people to engage. It’s what convinces people that you know your stuff. It’s what gets people on your email list. It’s how they get to know, like and trust you. Ultimately, it’s what drives your business. It helps you focus your content on your business goals. As you plan out your content in an editorial calendar, you’re able to analyse your business goals and make sure that you are planning the right kind of content to meet your objectives. You’re not just trying to come up with something on the spot. You are carefully crafting a schedule that keeps the end in mind. It helps you to be more consistent. Having the best content is great, but if you’re not showing up consistently, you won’t be able to reach to a point where your audience keeps coming back for more. Consistency is essential to your success as a blogger. Who is your ideal target person? What struggles will he/she encounter? The best content is focused on the consumer, not the creator. Create a master list of topics, events, product launches, etc. This is where you will brainstorm all of the different things that can end up on your editorial calendar. The main question you should answer with this master list is the following – What content do you need to create to help your audience reach their goals or overcome their struggles. I would encourage you to take the time to come up with a list of at least 20 different items. For extra credit, go for 50. You may (or may not) use them all, but this brain dump will help to save you time in the long run. 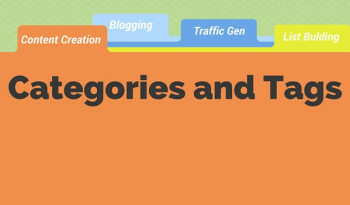 Organize your content into categories. As you create this list, you will most likely see that they can be naturally placed into a few categories. Go ahead and group them in whatever way makes sense for your niche. 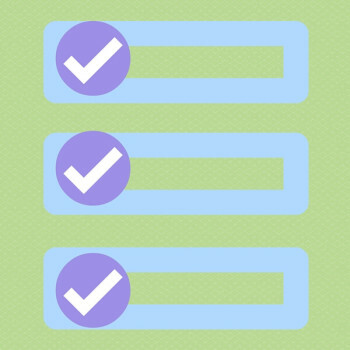 These categories should be the categories of content found on your blog. If not, do yourself a favor and revisit your blog categories. For more info on this, check out this podcast episode on using WordPress categories and tags for maximum impact. Decide on a publication schedule. As mentioned above, consistency is key. When you are consistent with your content creation, you will train your growing audience to make you a part of their routine. How often will you post content? On what days of the week? Also, what types of content/media will you be creating? I recommend that you stick to a minimum of 1 post/week. The more, the better. Fill in the dates with content/events. When doing this, I recommend starting with major events first. These may be things like product launches, webinars, or any other promotions (affiliate products, events, etc). Once you’ve added these dates to the calendar, schedule the pieces of content that support those events next. 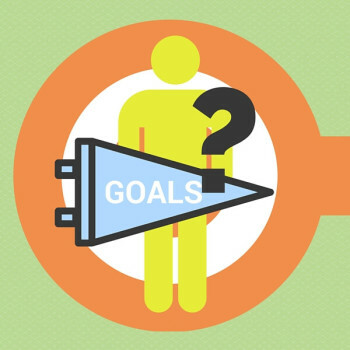 Doing this will make sure that your content is helping to move you toward your business goals. Then schedule all other content. You can decide if you want to have specific themes for different times of the year and schedule your content accordingly. The content creation process can be a bit more complicated if you have a team involved. However, it’s something that I recommend for every blogger to strive for. Whether you have a team of writers or a virtual assistant that helps you with the publication process, there are things you can do to ensure smooth sailing with your editorial process. If you have multiple writers, it’s important for you to create editorial guidelines. Doing this will help to ensure that there’s some consistency in the kind of content that gets posted. It sets a standard for what is acceptable and what isn’t. It gives an idea of what kind of flow is expected throughout the article and helps to guide your authors to create the kind of content that will resonate with your audience. For more on this topic, check out my interview with Mike Stelzner from Social Media Examiner. Determine who is responsible for each task. Have you ever worked at a job (or on a project) where nobody was clear who should be doing what? It can get pretty confusing. Don’t let that be the case with your blog. Make sure all of the roles are clearly designated. Have one place for team communication. When you work with a virtual team, communication can get messy. If everyone is emailing everyone else separately, it can be hard to keep track of what’s happening in your business. Use one tool to manage all your team communication. If there’s ever a question about what was said about a particular piece of content, you will always know where to find the answer. I decided to start with good “old faithful.” This is something that most people already have access to. 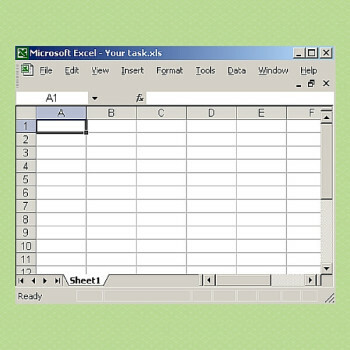 It’s not the best option, but if you’re already a spreadsheet-nerd, it can be quite fun. I recommend using Google Sheets, because it’s cloud-based and makes it easy to share it with your team and see updates in realtime. However, you can also use Microsoft Excel or Numbers (Mac only). Trello is a very powerful (and free) project management system where you can manage many aspects of your business with a team. This is what I recommend for most people who are looking for a project management system that goes beyond simply managing your content. 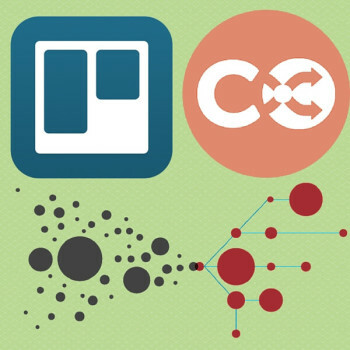 For info on how I’ve used trello, check out this article. This is my current weapon of choice for managing my editorial calendar and my small team of two (including myself). It is the best option I’ve found for an editorial calendar because it’s integrated with WordPress and Social media. 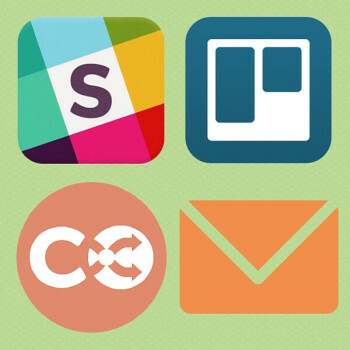 Because of these integrations, you can manage every aspect of your content creation process. You can even manage your social media sharing of your content. I love it. You should check it out. It’s not free, but it’s relatively affordable. This WordPress plugin is a tried and true editorial calendar plugin that allows you to manage all aspects of your editorial calendar. It’s not as pretty as Coschedule and it also doesn’t integrate with Social Media, but it’s free. 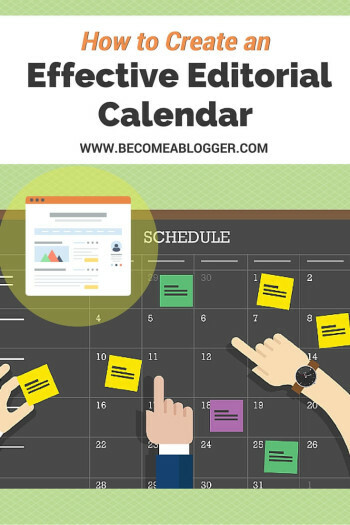 Do you use an editorial calendar? If so, how’s it working for you? Did I miss any tips? If you aren’t using one, do you think you will start? Google Sheets – cloud-based spreadsheet that can easily be shared with the team in realtime. Numbers – available for Mac users only. Trello – project management system that helps you manage your business with a team. 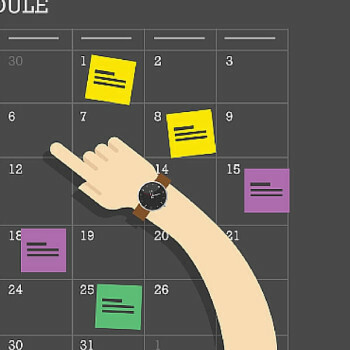 CoSchedule – helps with editorial calendar management integrated with WordPress and social media. EditFlow – free alternative to CoSchedule that also helps manage all aspects of your editorial calendar. This is not integrated with social media. This whole post points at planning which is one area i must admit to have failed as far as my blog is concerned. Reading through this opened me up to a whole lot of information i may never have gotten. As for now, its just me in my team but i’m working on getting some more hands (wonder if people help for free 🙂 ), but before then i starting to create an editorial calendar. Thanks so much for this post! It gave options for how I could access the information, gave the infographic for easy reference, and is advice I truly need. My blog is scheduled to be up and running by June, so I can get a head start on things to avoid stress. My tendency to procrastinate requires a system like this. I’ll let you know how it goes or if I run across anything else helpful along the way. Good work, Leslie! Awesome Karen. What’s your blog going to be about? Thanks, Leslie! I appreciate your tips. Sometimes I think you read my mind, Leslie. Just last week I was trying to find a guide to setting up an editorial calendar and quickly gave up after finding only brief list posts with no details. I got the the gym and played the next podcast on my playlist and up pops this awesome, actionable episode that walks me through everything I need to do. Keep on smashing it Leslie! Thank you! Thank you! Thank you! This podcast could not have come at better time. For the last couple of month’s I have been saying to myself that I really need to put a schedule together so I can become more consistent with the two hundred thousand things (LOL) I need to do for my website/blog, and of course it all becomes overwhelming. Your episode today was prefect!! Now I can see a beginning, middle and end and some consistency in what I need to do and how to do it. I’m going to jump on this first thing tomorrow. Now, all I have to do is decide what program to use that best fits my needs and from your suggestions that should be easy. Thank you again and I absolutely love your enthusiasm. Keep up the great work and Congrats on the new baby girl to come!!!!!! WOW Stephanie, 200 THOUSAND THINGS? That’s wayyyy more than my 100 thousand, LOL. I hear ya though. Glad to hear that the episode helped. Hey, Lesile. Thanks for this blog post that includes lots of value in the form of a podcast, detailed blog post, the slides, and an infograph. I have started an editorial calendar without realizing it. I started by making a mindmap of all the topics that I can write about that the audience (ESL teachers) would need and be interested in knowing. The mindmap consists of categories, which you also recommended. Once I am finish making my content, I can have a bigger picture view, which then allows me to schedule the posts. Thanks! I’ll start downloading your podcast. I got an assignment yesterday to make an editorial calendar for June. I searched a lot but did not found right content but thank god i found this article. This is what i was looking for. Now i can complete my assignment. Thanks for this article.